Thread: Where to put pistol after getting long gun? Boy I couldn't do that, I have tendency to wake up fighting if startled. But on a more serious note, do you think you could "craft" something by attaching a holster to a 2-point sling? You could just throw the sling over your shoulder, and the holster would be on your side at every time. Needing a full AR mag and later on switching to your handgun in a home defense scenario would be quite strange unless you're planning to fight a busload of gang bangers or a Chinese paratrooper platoon, but if you'd feel safer with that, then go ahead. You know that was completely uncalled for . Sounds kind of like an M3 chest holster. I'm going with putting the pistol down right where the rifle/shotgun just was. This sort of question is more likely to cause you to screw up since you are giving yourself another mental conundrum to solve in the middle of an emergency. If a long gun isn't convenient for bedtime, don't confuse yourself by giving yourself the option - stick with the gun you have. No matter how alert you feel, you aren't going to be able to process things as well if you're just waking up. Dangerous home invasions are actually very rare - don't overcomplicate a simple problem. 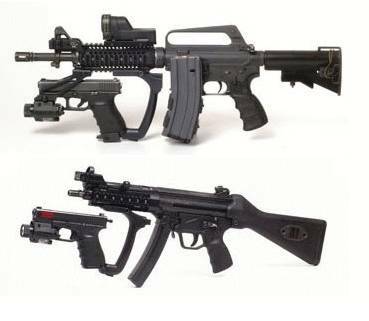 I absolutely need to simplify some things by reducing the number of options when it comes to firearms.